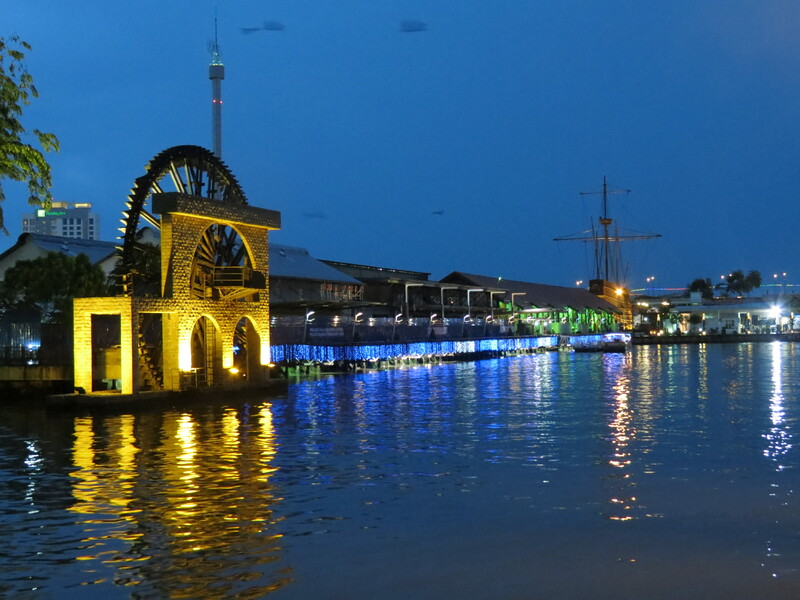 After leaving Melaka we headed back to Kuala Lumpur for the weekend for the Future Music Festival. 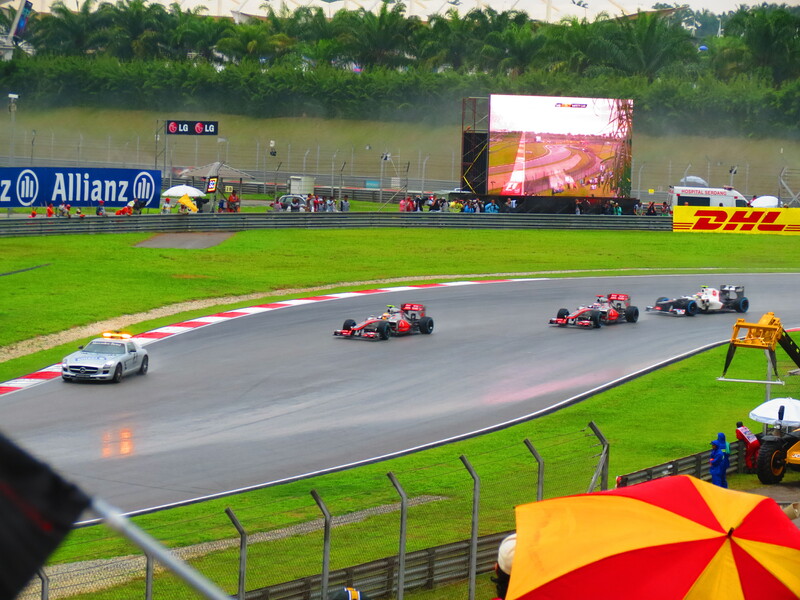 The site for the festival was the Sepang F1 circuit which is about 40 minutes outside of KL. The festival gates opened at 13:00, so we decided to get there on time to take a look around whilst having a few beers. On arriving we were told that the gates wouldn’t open until about 14:30 as they were running late. So instead of being able to get in a festive mood, we were left waiting with no shade from the 40 degree heat, nothing to drink (water or beer), and getting more frustrated by the minute. While we were waiting we bumped into a couple we had met the previous night; Laurence and Rosa. When we eventually got into the site and heading straight to the bar, we were told that they didn’t open until 16:00, including for soft drinks. At this point we were feeling slightly weary after standing in the mid-day sun for two and a half hours. But the bar eventually opened (£3 for a small can of Heineken…ouch), and it was great to be back watching live music after such a long time. 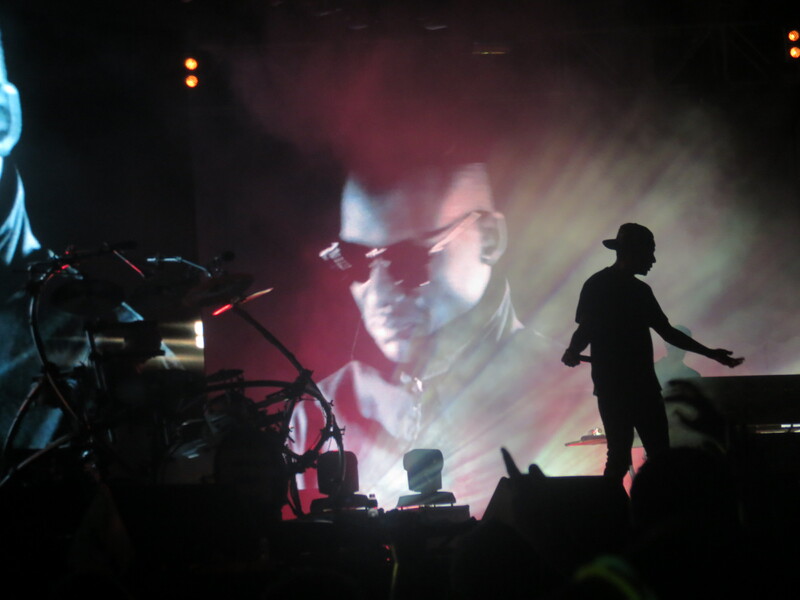 There were three stages spread across the site, with mainly dance acts playing. I was subjected to some utter dross (namely Flo Rida), but it was good to see some acts we’ve never heard of. 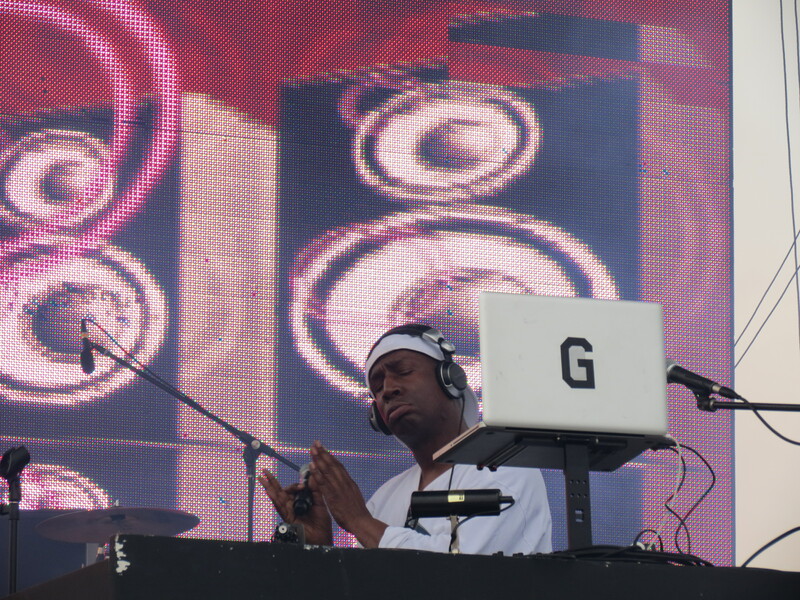 The highlight of the day was Grandmaster Flash, who played some old classics and got everyone going. Chase and Status, Pendulum and The Chemical Brothers followed, and all-in-all it was a great day. We had to leave slightly early due to a combination of too many extortionate drinks, too much sun and a slightly dodgy tummy for Katy. Not ideal in pitch black porter-loos. Thankfully as we made our way to the taxis, a group of Australians offered us a lift back into town. It saved us a huge taxi bill, and got us back much quicker than we would have (much to Katy’s delight). The following day we took a walk around Bukit Bintang, which is the shopping district of the city. As much as I hate shopping, this is definitely the place to do it. Cheaper than almost everywhere we have been, and the choice of shopping malls to look in is endless. The air-conditioning is also a welcome relief. Port Dickson was a place a few people had mentioned, so the next day we took a bus there via Seremban. When we arrived we were a bit disappointed. It’s made up of dilapidated buildings and fairly average beaches. During the week there is almost nothing open, so we ended up spending the evening watching films on the laptop eating pot noodles. One night was enough, so after spending a day there doing very little, we headed back to KL. 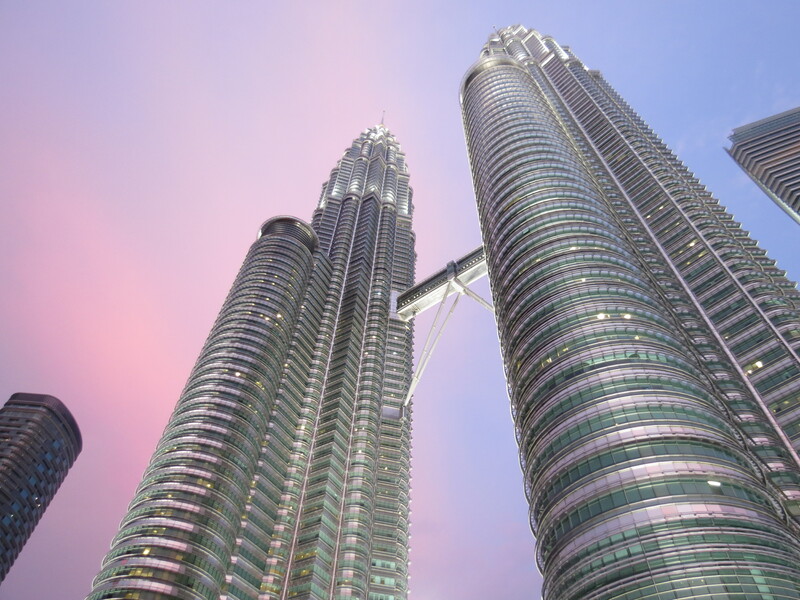 There is a lot to do in KL, but it is an expensive place to be. Food can be cheap if you stay to the local street food restaurants, but drinks and accommodation are expensive. We took a visit to a bird park, which has the biggest free-flying aviary in the world. Normally I wouldn’t be excited about going to look at birds (no pun intended), but it was actually quite a nice place to walk around. 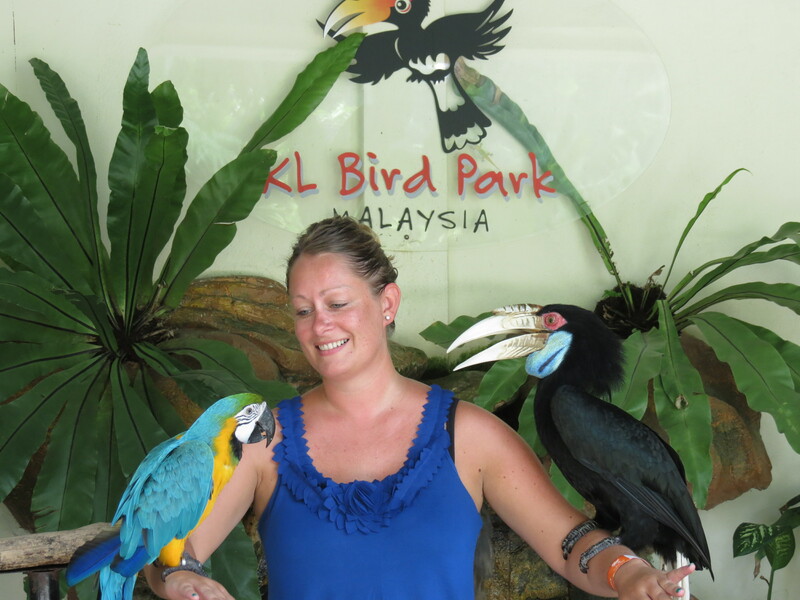 Katy had her picture taken with a hornbill and a parrot sat on her, and she was enjoying it until one of them pooed on her. She did have the option to have an owl or an eagle, but for some reason chose not to. After a few hours walking around the huge park in the centre of town, visiting the national monument and an orchid garden, we headed to China Town for some dumplings. We also took a walk around Little India, but compared to Penang there wasn’t really too much to see. 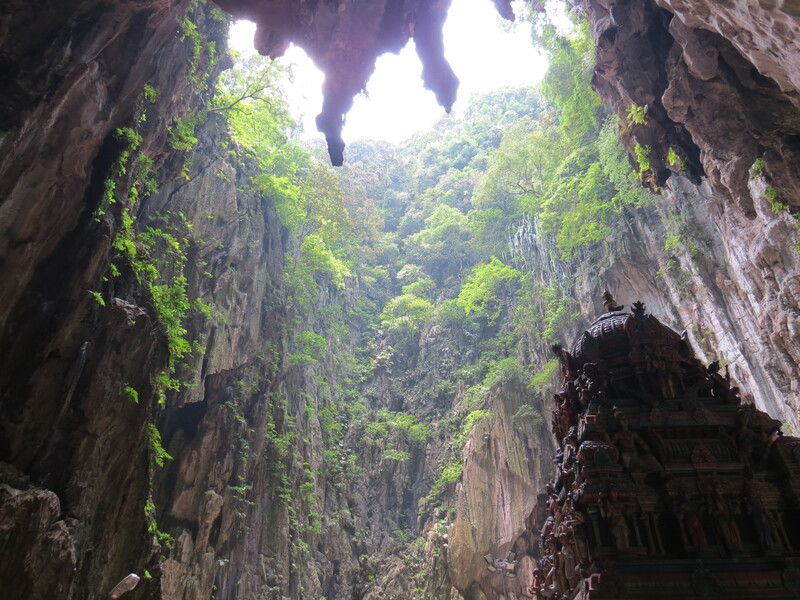 One of the things to see in KL is the Batu Caves. The cave is one of the most popular Hindu shrines outside India, dedicated to Lord Murugan. To reach it you have to climb a steep flight of 272 steps, and inside a huge cave 100m high there are various Hindu shrines. While we were there we also had a tour around some bat caves, which had over 250,000 bats in there. It didn’t smell particularly nice, and most of it was pitch black, but it was quite an interesting thing to do. Since then we have spent some time in the city centre to see the twin towers. We visited on the Friday before the Grand Prix, and there were various things going on there. The headline act was a Korean pop band called Girls’ Generation. It was absolutely packed and a really good atmosphere, despite the music. As we headed to Jalan Alor to get some of the famous street food, Katy decided that she knew a short cut. Instead of walking back ten minutes the way we had walked earlier, we ended up on a two-hour trek, mainly down dual carriageways, back to our hostel. On the way back we bought some pot-noodles from a 7Eleven. Not exactly what I had envisaged for my dinner. 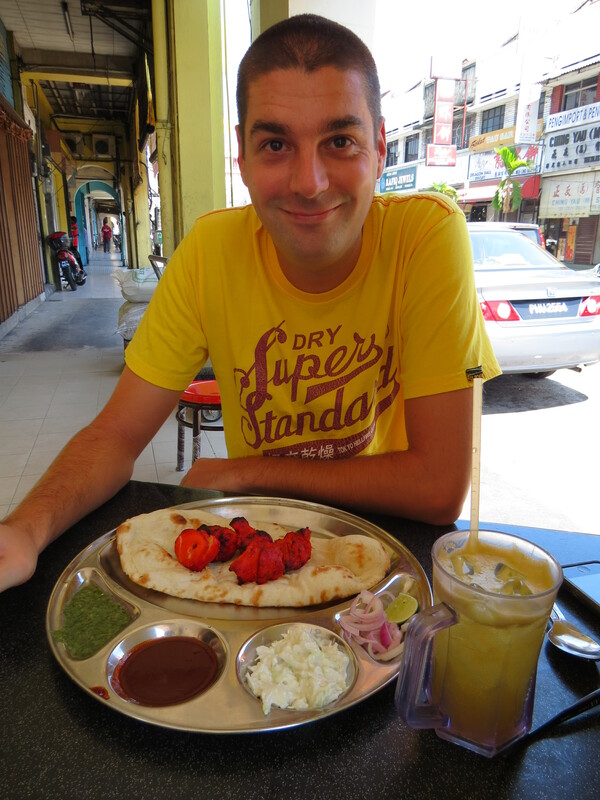 The next day we went for breakfast in a Nasi Kandar restaurant just around the corner from our hostel. After finishing our chicken curry with vegetables (which was lovely), we got chatting to a crazy man called M S Tamby. I say we got chatting, but it actually involved him speaking at us non-stop for about 30 minutes. After telling us various stories, including one about when he met Winston Churchill in Canada, he then drew us a picture on a napkin. Some of his abstract art apparently, which is very bizarre. Apparently we should insure it for £5M. He then started telling us what kind of people we are, and what we should do with our lives. It took us a while, but we finally managed to say our goodbyes and get away from him. Nice guy, but very scary. After a heavy night watching Arsenal and Bolton win in the expensive bar district of KL, yesterday we headed back to Sepang for the Malaysian Grand Prix. When we got there it was so hot, that the thought of sitting there for three hours or so wasn’t good. The atmosphere on the hill was great, and with two Brits at the front of the grid we were looking forward to the race. About five minutes before the race started, the rain came. Thankfully it also brought a huge drop in temperature to a more acceptable 26 degrees. We were prepared for the rain as it had been forecast for the weekend, so we sat there in our attractive ponchos looking like idiots, but dry. The race started without any huge incident, but it was clear that the rain may cause problems as it was really coming down now. Eight laps into the race it was stopped as it was deemed dangerous for the drivers. There was a break of about 50 minutes while waiting for the rain to ease, and then the race was back underway. At first it was fairly easy to follow who was leading and the general race order, but as the race went on it got more difficult. As people were lapped and the cars got more spread out, we didn’t really have a clue what was going on. Every now and then we saw the race standings on the big screen which brought us up to date. It is definitely better when watching on TV. Yes you don’t get the atmosphere of the crowd, or the deafening sound of the cars, but at least you know what’s going on. Alonso ended up winning the race, with Lewis Hamilton in third and Jensen Button back in 14th. Tomorrow we’re heading to Kuching in Borneo, and after almost a week in KL we’re looking forward to it. The one thing that has really stood out here is how hot and humid it is. Most of the time temperatures have been in the late 30s with humidity at about 90%. It makes walking down the street hard work. But this is a great city, and one that we would definitely come back to. Just before we left Thailand, we witnessed one of the best North London derby games I have ever seen. Even Gareth Bale’s customary theatrics (article on why Gareth Bale dives) didn’t manage to do them much good. A great way to end our time in Thailand. The journey into Malaysia was a collection of trips on various different vehicles, all of them as uncomfortable as the last. The usual promise of a VIP express trip of four hours turned out to be much longer. 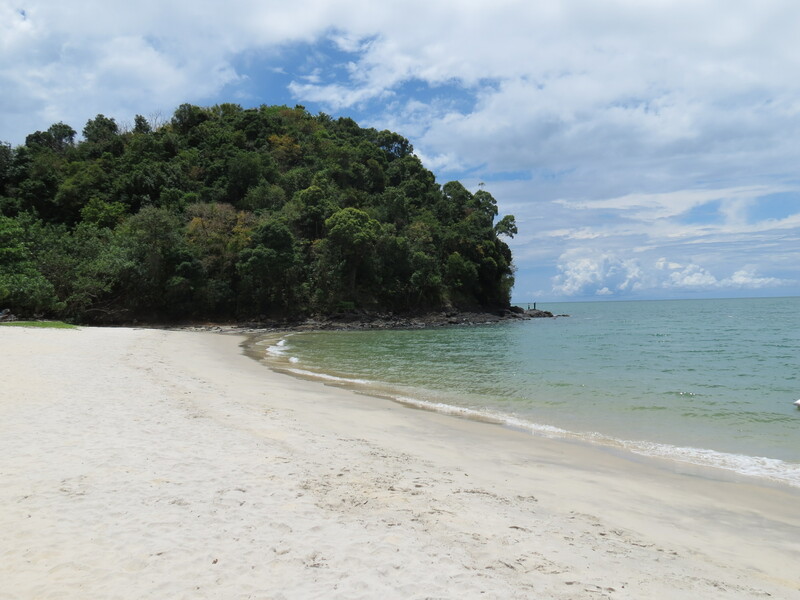 We left Koh Lanta at 8am and finally arrived in Langkawi around 6pm. As soon as we walked through customs at the port, we were greeted with shops selling Cadbury’s chocolate and cheap booze. It almost felt like home. Langkawi is a duty-free island and with Malaysia being a predominantly Muslim country, this was the place to buy (or drink) cheaply. After checking into our hostel, we ventured out to find somewhere cheap to eat. We were surrounded by big resorts with lots of European tourists, so it was very different to where we had been so far. The next day we took a walk into town to take a look around. Almost all the shops, bars and cafes were closed during the day, so after getting caught in the rain we headed back to our room. Being in the tropics we knew that the odd rain shower was likely, but even the locals were surprised by how much it was raining. But in between the showers the 35 degree sun-dried things out pretty quickly. That night we went for a few drinks in the hostel and got chatting to an American couple. They told us about a bar that was open until midnight (which is very rare), so we decided to tag along. It was quite a cool place right on the beach, with fire jugglers and chilled music. The night came to an abrupt end when the bar suddenly shut because they heard that the police were on their way. In Langkawi you need a license to sell spirits, which the bar didn’t have. So we ended the night back in our hostel playing drinking games. Overall Langkawi wasn’t one of our favourite places. Although drinks were slightly cheaper (£2 for a large bottle), food and accommodation were quite expensive. It was also very touristy, and full of tacky souvenir shops selling ‘Tre Bon’ sunglasses. The next day we got a short flight to Penang. It was actually cheaper to fly than it was to get the ferry, so we thought we would treat ourselves to a flight which we’ve tried to avoid so far. When we were about the depart Katy wasn’t best pleased to find out that it was a twin propeller plane, but the flight went without incident and we arrived 30 minutes later. On the bus into Georgetown (Penang’s UNESCO World Heritage City), we met an older English couple (Lee and Sally) who were also travelling around Malaysia. After hearing where we were heading to next, they very kindly offered us a lift to Ipoh, not far from our next stop. So we exchanged contact details and arranged to meet on Sunday. We didn’t have a room booked when we arrived, so after some time walking through some more torrential rain, we found a cheap room above a mini-market. This room wasn’t the best, and most evenings we had to clear the room of cockroaches before going to bed. The best thing about Penang and what it is famous for is the food. We were staying in Little India, and there were Nasi Kandar restaurants everywhere. We were in food heaven, and we tried most things from the menus. Chicken tikka, roti canai, butter chicken, tandoori biryani and murtabak to name a few. With most meals we were having freshly pressed apple juice, which was amazing. A big meal for the both of us was coming to about £5, and was some of the best Indian food we’ve ever had. The next few days the weather was much better, and we spent our time walking around the city. Unfortunately for me, Katy found a big shopping mall and decided to buy more clothes. 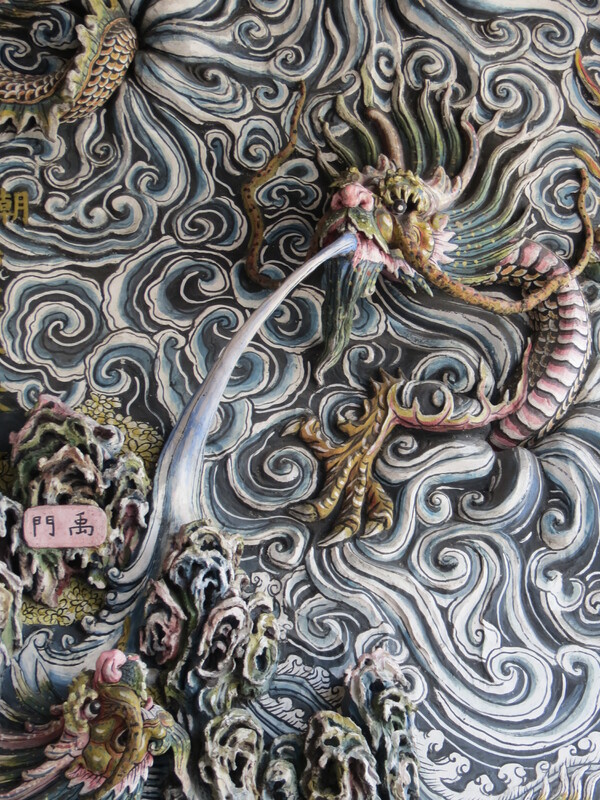 Penang is a really interesting place, with a mix of Chinese, Indian and Malay mosques, temples and churches. We are pretty templed out now, so we didn’t really venture into any though. While walking around the city we found out that there was a music festival coming up in KL. We checked online and there were still tickets left, and it happened to be on a weekend that we were due to be there. We got quite excited as it will be our first gig of 2012, apart from having to listen to SE Asian karaoke. For those interested the line-up includes Chemical Brothers, The Wombats, Hercules and Love Affair, Chase and Status, Pendulum plus loads more. To add to our good news, we found out that our friends Lucy and Tom and their two girls Ella and Georgia are going to be in Borneo when we are there. We’ve changed our travel plans to make sure that we have a few days with them, and it will be great to catch up with some friends from back home. Just before we left Penang we also witnessed a Bolton win, which lifted them out of the relegation zone, so Katy was happy. Although we didn’t do a huge amount there, we really enjoyed Penang. The food was amazing and it was a nice place to chill out for a few days. The next morning we met up with Lee and Sally for our trip to the Cameron highlands. Although they were supposed to drop us off in Ipoh, after a missed turning due to Katy’s navigational skills, we were treated to a lift all the way to Tanah Rata, where we were staying. 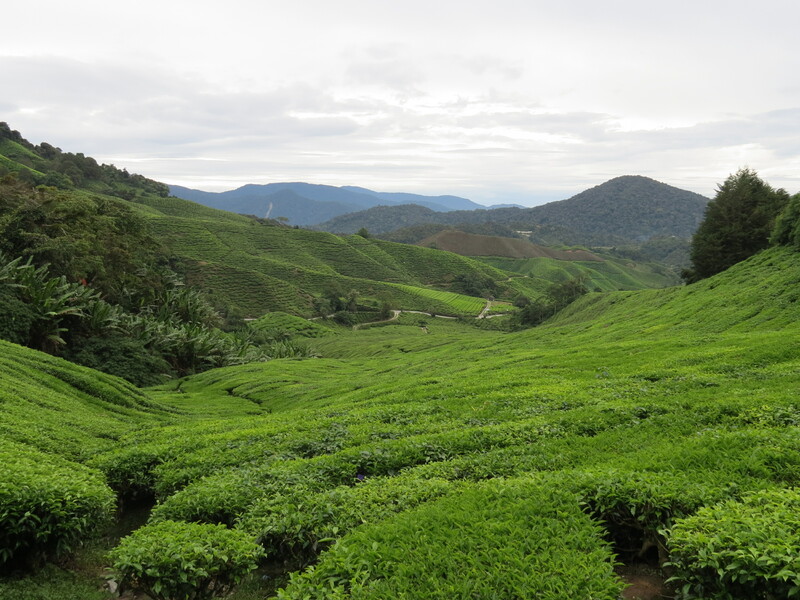 Cameron Highlands is 2000 metres above sea level, and produces 90% of the fruit and vegetables for the entire of Malaysia and Singapore. It is also famous for producing tea, after William Cameron suggested the idea whilst surveying the area in 1885. The journey to the Highlands took us along a stunning mountain road cutting through thick jungle. As we got closer to where we were staying, there were huge areas covered by market gardens producing virtually every fruit and vegetable you can think of. It was also accompanied by various very tacky stalls full of Chinese tourists buying strawberry earmuffs and other hideous souvenirs. After saying goodbye to Lee and Sally, we checked into our hostel and had a look around the town. I was particularly interested in this area as my mum and auntie went to school here in the 1960s; SLIM School. 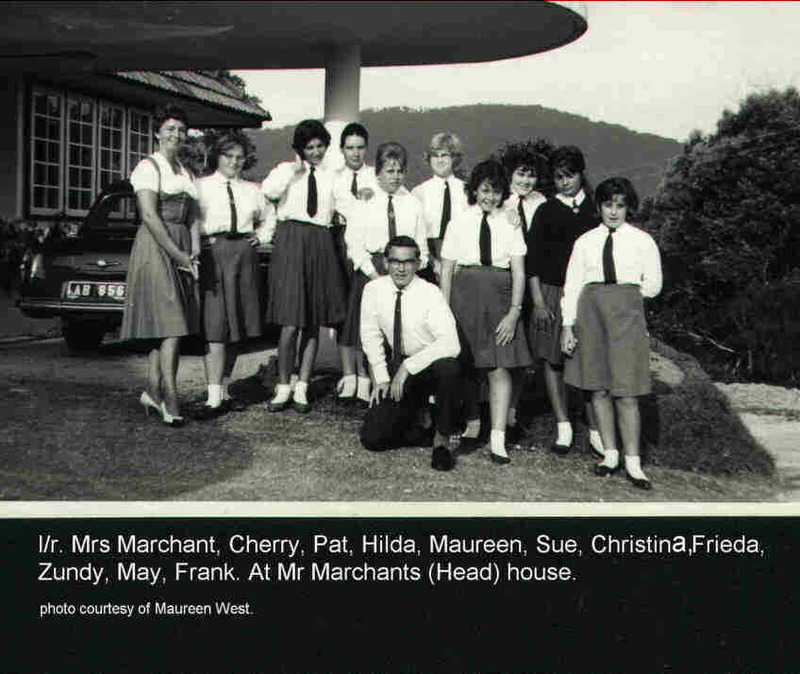 I had been in contact with an old pupil who now runs a website for the school with various old pictures. The first little café we went into for a drink also had some pictures on the wall, with newspaper articles of when the school was opened. The town itself was very small and quiet, with just a few places along the main street to eat and drink. It’s much cooler than the rest of Malaysia, and it was quite nice to get a break from the heat. As we were only there for two nights, we decided to book ourselves onto a tour the next day. We started (don’t laugh) at a butterfly farm, where we saw…butterflies. Then we headed to the hills to see the huge tea plantations. These went on as far as the eye could see, with some great views over the valleys. After that we headed even higher to a viewing platform at 6666ft above sea level for some even better views of the mountains. 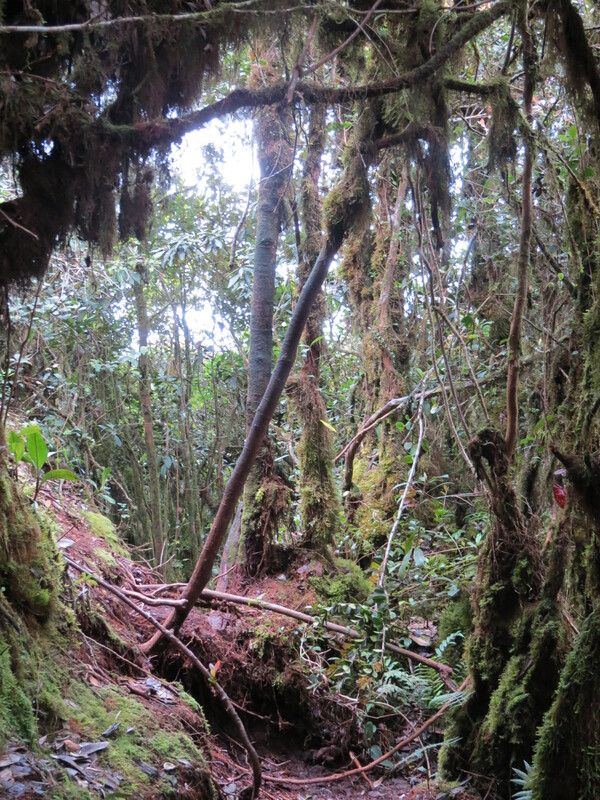 In this area we were also taken into the ‘Mossy Forest’ which is apparently what the backdrop to Avatar was based on. Although that could have been our tour-guide embellishing to divert for the fact that we were stood in a boggy forest with mud all over our clothes. After making it back to the 4×4, thankfully without losing any footwear, we were then taken to a bee farm. At this point we had slightly lost interest in being herded around with 200 other tourists, so we decided to just watch from the balcony whilst having a drink. The tour ended with a customary trip to a strawberry farm. Maybe it’s just because I’m English and was brought up in the country (ooh-aagh), but the thought of visiting a strawberry farm didn’t really excite me. You can’t even pick your own strawberries there, so I didn’t really see the point. We did enjoy a very nice fresh strawberry milkshake though, while others looked on in amazement at the strawberries growing. We ended the tour by being dropped off at a Buddhist temple about 9km from our town. We had decided that we wanted to do some trekking through the jungle, and one of the trails started at the back of the temple. The night before our hostel owner had warned us that this trail was a bit ‘adventurous’, but as our new year’s resolution was to be more adventurous, we ignored his advice. We were joined by a couple from Cambridge that we had met on the tour, Justin and Heather. 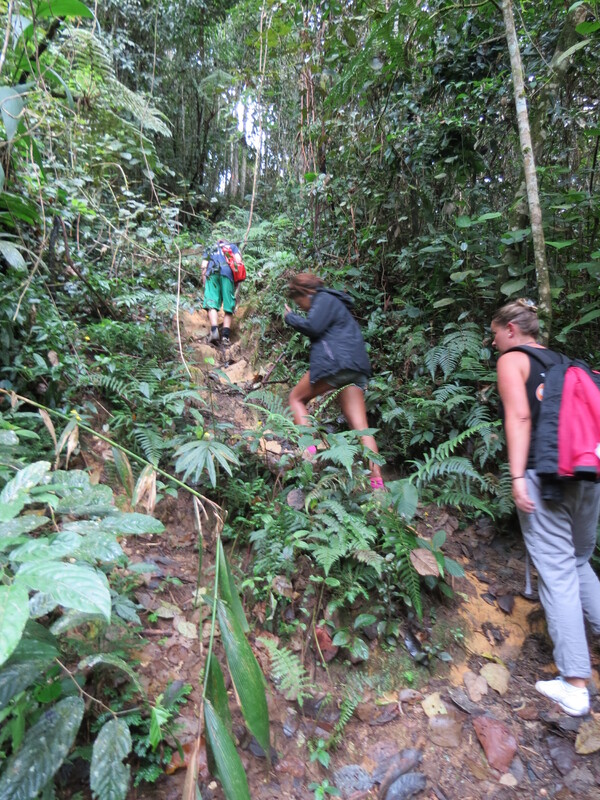 The first path was only 2km, but it was through some of the thickest jungle you could imagine. It was also raining quite heavily by this point, and some of the climbs were steep to say the least. But after a couple of hours we came out of the other side, happy to be out of the jungle. On the walk back down to the road, we saw the school that my mum and auntie attended when they lived in Malaya. It is now a Malaysian Special Forces army camp. They weren’t too impressed when we walked up to the camp and started taking pictures, but I’m glad we got to see it. We rewarded ourselves for our trekking with cream teas at a local farm shop. I don’t think tea and scones have ever tasted so good. 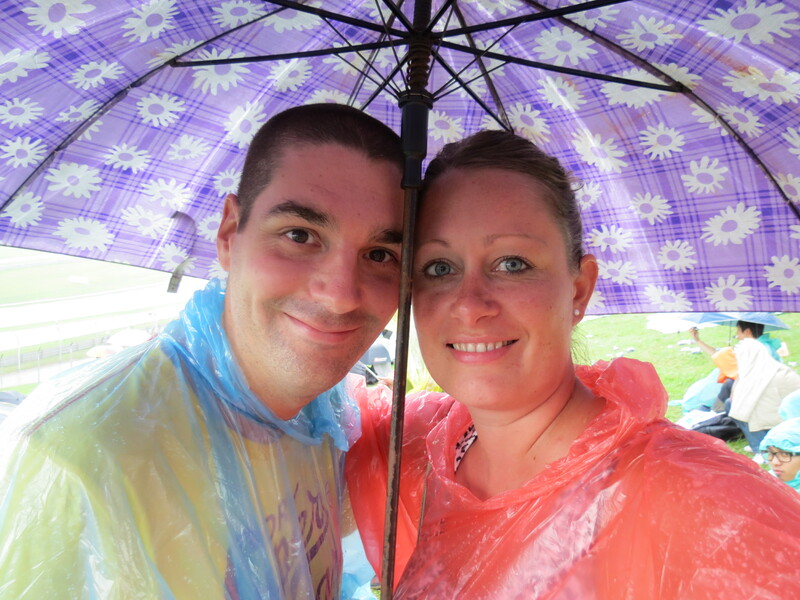 This revived us enough for the walk back to our town, and a much-needed shower. The next day we got a bus to Melaka via KL, where we are now. It took us about eight hours to get here, but it was a comfortable journey with some nice sights along the way. Since we’ve been in Melaka we’ve not done a huge amount. It’s another UNESCO World Heritage City, and is a pretty place, with buildings inherited from the Portuguese, Dutch and British rule. Most things close very early at night, so we were a bit caught out last night and barely managed to get any dinner. Today Katy has dragged me around the shops for most of the day. We did manage to find a great place to eat again today though. We had some really nice Chinese noodle soup for lunch and another great Indian meal for dinner. After a two hour delay at Yangon airport we arrived in Bangkok in time to check into our hostel, dump our bags and head out to meet Dave at his hotel. We found Dave and Dave (his friend) by the pool enjoying a cold beer looking very relaxed. The football boys were arriving late that night, so after a few beers and a curry we decided to leave the boys to catch up and head home as we were shattered. 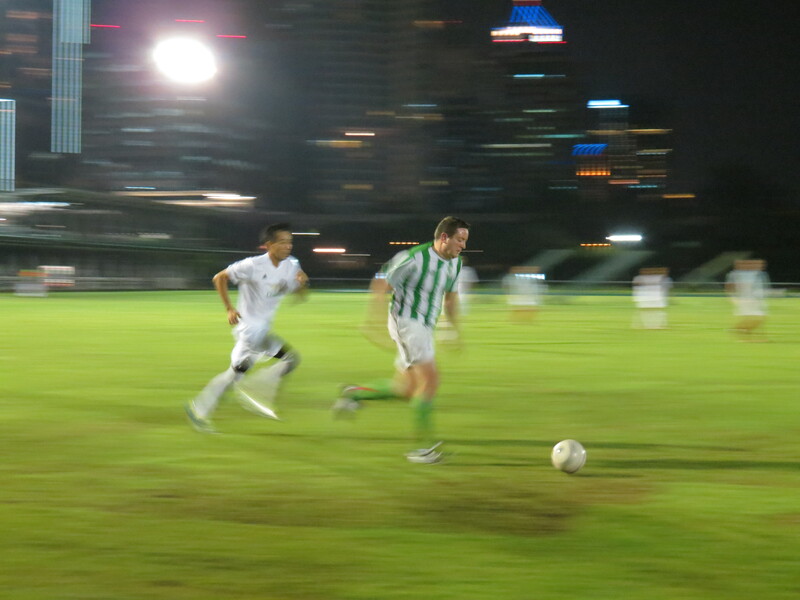 The football weekend consisted of a Friday night match at the Royal Bangkok Sports Club where we were treated to a fantastic buffet meal and all the free beer you could drink. This was followed by a weekend of seven a side games held at the Royal Bangkok Polo Club, which is basically a very nice country club with an Olympic size swimming pool smack bang in the middle of the city. Unfortunately the boys (KCC Royals) didn’t have a great weekend in terms of results but I have a feeling that had something to do with the amount of beer consumed. It was great weekend, albeit a heavy one, and it was really good to see Dave and catch up with a few familiar faces. We left Bangkok on Sunday afternoon and caught an overnight train to Krabi in the south. We loved the overnight sleeper trains in China so were excited to see if the Thai trains were as good. We’d been told that you start off with seats that get changed into beds. Each carriage has its own conductor who comes and changes the seats into beds when you’re ready for bed…quite cool. After a few hours sleep we were woken up at 4.30am to get our connecting bus to Krabi. After leaving Bangkok at 15.30 on the Sunday, we eventually arrived in Krabi at 14.30 on the Monday. We arrived at our hostel very tired and also very disappointed when we realised the room wasn’t what we had booked and was a lot more money than we thought. So after a heated discussion with the owner we walked away with our money and checked into another hostel. 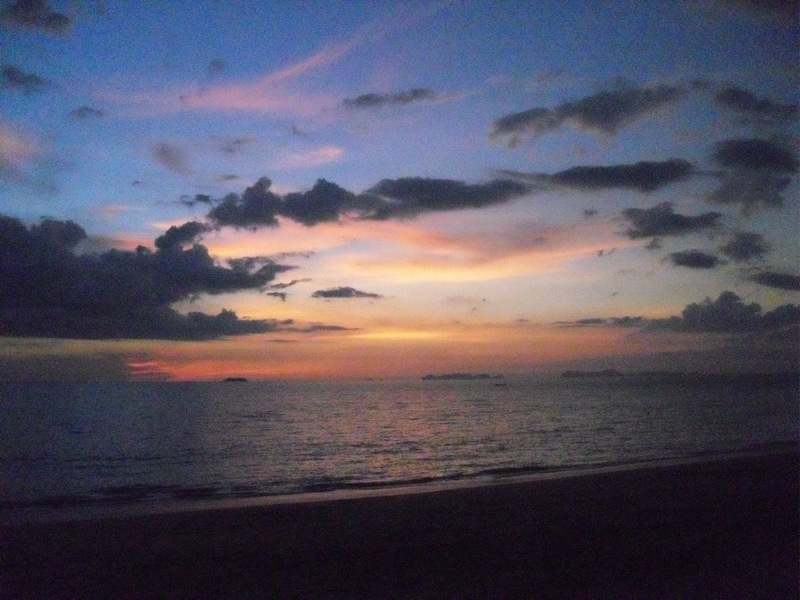 There is not a lot to do in Krabi. I think most people use it as a stop-off or a base to visit the surrounding islands, so we decided to move onto Koh Lanta the following day. Sophie and Seb were already there which was perfect as they were able to find us a room. They did a great job, finding us a bungalow about one minute walk from the beach with air-con and a fridge, all for a very good price. After checking into to our bungalow, Sam surprised me with a Valentine’s poem on the back of a postcard which he had written whilst on the train. Who said romance was dead! Seb was almost in tears when I read it out that evening, and Sophie had to point out that it wasn’t actually meant for him. I wanted to post it on here, but Sam said it would ruin his street cred (if he had any to begin with). We spent the next few days relaxing on the beach, working on our tans and playing Frisbee. 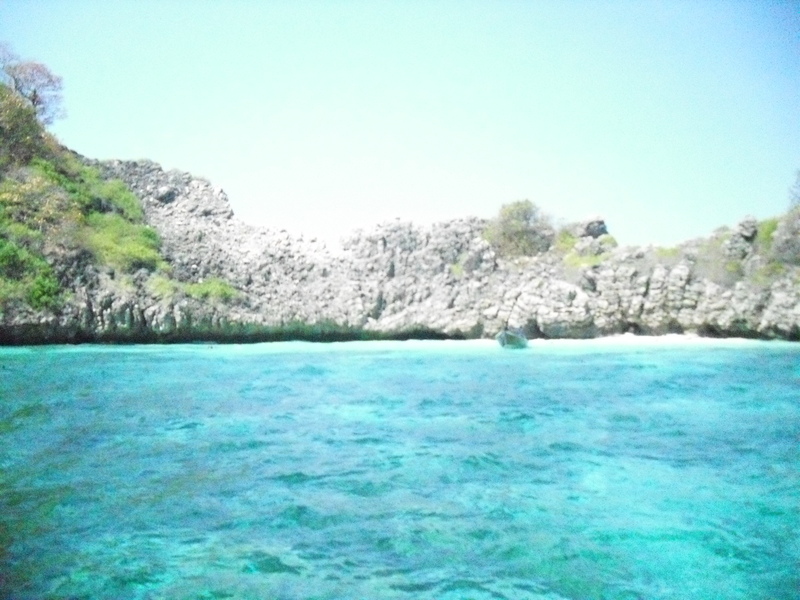 We had one day exploring the town Saladan, and decided to check out another beach whilst there. We ended up taking a wrong turn and found ourselves on a deserted beach which was basically a huge sand bank covered in crabs and rocks with the sea miles out. We were clearly on the wrong beach but we decided to walk across to get to the next beach instead of turning back. It didn’t look that far when we started, but after a few minutes we were thinking we’d made a mistake as there were thousands of crabs and sea slugs everywhere. Anyway we persevered and made it to the rocks where a couple of local fisherman looked at us like we were crazy and pointed us in the direction of the right beach. The next day was the first day of our Open Water PADI course but first we had to say goodbye to Sophie and Seb as they were headed back to Bangkok to collect their visas for India. We were sad to see them go as they’ve been our travel buddies for the last two months which has been a lot of fun. We had already completed the first three chapters of the course so the morning was spent recapping on everything we had learnt followed by the next two chapters. We also took the final exam and both passed with flying colours so we were ready for our confined water skills test which took place in the sea rather than a swimming pool. We had to do lots of different things like pretend you’d run out of air and use your buddy’s alternative air source; let water into your mask and then get it out and take your mask off, which was the bit I hated the most. Our instructor seemed happy with everything so we were ready for our first proper dive. Over the next two days we completed four dives, each time practicing the various skills we had learnt on day one and also reaching the course depth limit of 18m. We were diving in a stunning place called Koh Haa, a collection of five tiny islands each surrounded by beautiful coral reef and we saw so many fish including eels, lobsters, puffa fish and sea snakes but my personal favourite was seeing Nemo (clownfish). It’s very sad but I did get quite excited. We both absolutely loved it and can’t wait to do more diving, we’re even talking about doing our advanced course which takes you down to 40m and where we’ll probably do a wreck dive. We met up with our instructor and her boyfriend for Sunday dinner at the local Irish bar which also happened to be playing the football. We hadn’t eaten a roast dinner for five months so it was a real treat to have roast pork with all the trimmings. We were also treated to a great game of football; Arsenal v Spurs (for those non-football fans) and to say Sam was happy with the game and the result is an understatement, ecstatic is probably a better way to describe him that night (except for the first 20 minutes). It’s a shame Bolton couldn’t pull off the same result the day before. I’m not sure what came over me on Tuesday this week but I was out of bed at 7am running on the beach (with Sam). I think I was feeling guilty for all the beach time we’ve been having. Anyway it’s out my system now so no more runs planned for the time being. 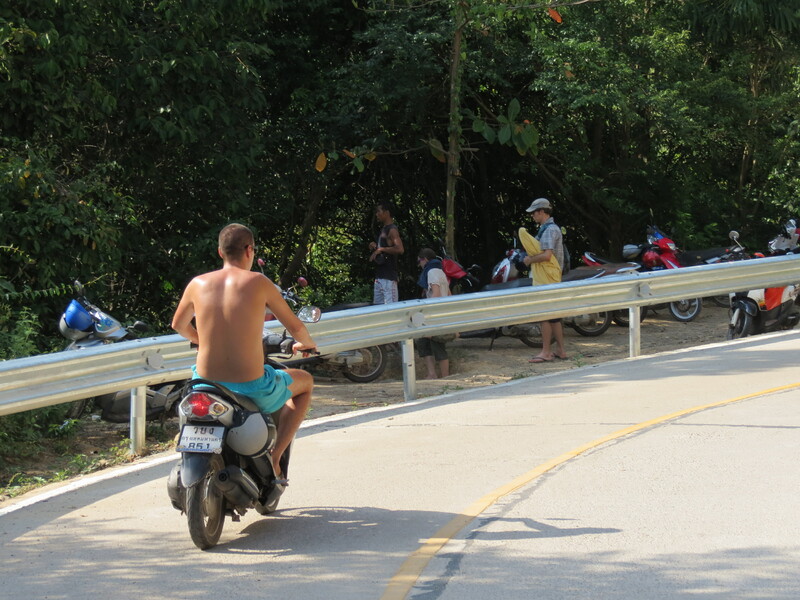 We took a motorbike out one day to explore the island a bit more which was good fun, but very hot. We took a few wrong turns but I think we managed to see most of it and even stopped off at a beautiful bay for a little dip to cool off which was much needed. I did manage to lose my bank card at some stage over the day though which is really annoying. I’m hoping HSBC can send my replacement to a branch in Kuala Lumpur. For a bank whose strap-line is ‘The world’s local bank’, they sure know how to make it awkward for people overseas. So other than the diving and the bike we have had lots of days just sitting on the beach, which has also given us time to start planning the next bit of our trip. We head to Langkawi in Malaysia on Monday where we’ll spend a few days before heading to Penang. Although we’ve enjoyed Thailand and the beach time, we’re ready to move on and are looking forward to seeing something new.